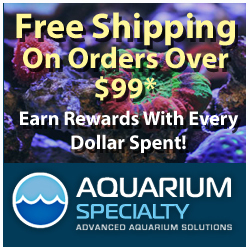 Have you ever wanted to work in the aquarium industry for a company with a good reputation? How about one that has it’s own television show? If so, then Living Color Enterprises, of Fish Tank Kings popularity, has the perfect opportunity for you. 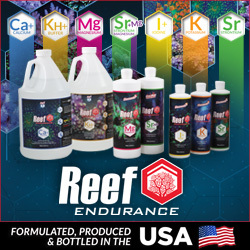 The Florida-based aquarium manufacturers are looking to hire a sales associate to help get their products into the hands of retails store, maintenance companies, and aquarium hobbyists. The ideal candidate will have at least two years of sales experience, along with a passion for the aquarium hobby and a knowledge of the Living Color products. The responsibilities of the position, like most sales jobs, is to represent the company by selling their products and drumming up new business opportunities. Unfortunately, the position doesn’t guarantee any on air time with the Fish Tank Kings television show. That said, the job posting doesn’t rule it out either. Regardless, you probably wouldn’t stand a chance at dethroning the resident fish geek Francis Yupangco. For more information on the job posting, be sure to visit the Living Color Enterprises Career Opportunities Page, or continue reading below for a list of requirements and responsibilities. Living Color, America’s largest manufacturer of Custom Aquarium Exhibits and stars of Nat Geo Wild’s TV series Fish Tank Kings is seeking a qualified individual to join our sales team. You should have a love of aquariums and at least 2 years of sales. You will report to the Director of Sales and be responsible for the development and performance of Retail Aquarium Product sales activities to retail stores, maintenance companies and end users. You must be able to actively engage customers, demonstrate our products, and effectively close sales. •Assists in the development and implementation of marketing plans as needed. We provide comprehensive benefits including: a competitive salary with sales commission, paid vacation and sick time, medical plan , 401(k) and opportunities to maximize your career potential.